Do you know someone who's hurting, but you're not sure what to do? 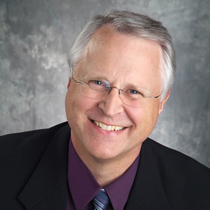 Dr. Randy Carlson offers four practical ideas. Every day my team and I hear from people who are lost and alone, hurt and desperate for comfort. Many are in some of the darkest moments in their lives. They face tragedy alone, hurting and feeling no one understands. You may know someone battling a tough illness. You may know someone who has been heartbroken. And you may not know what to do. The good news is you can help others who hurt by making the decision to help. Be Available. During some of the most painful times, people often feel invisible. When we don’t know how to respond to someone in pain, we avoid them. Acknowledge their presence and let them know you’re there for them. If they don’t want to talk, they’ll tell you. You might be surprised how much comfort you can bring just by sitting in silence with someone. Sometimes it’s much better without words for both of you. Be Willing to Listen. People need time to take in what has happened. Sometimes it helps them to talk about how they feel. Usually they’re not looking to you to solve the problem, give them advice or even understand what they’re going through. Be careful not to offer pat answers. Just hear them out. Be a Safe Place. Be a true friend by providing a safe place for them to share their pain. Keep your conversations with them confidential and honor their trust in you. Be very careful not to criticize or assign blame to them or to those involved in the situation. Be Prayerful. Only God can heal those hurts that penetrate so deeply. Many times people feel lost, are deceived into thinking that God has abandoned them, or they just don’t have the energy to pray. Stand in the gap for them by praying. When you reach out to others who have experienced a similar pain, perhaps the scar of their own personal loss shrinks a bit, as you do what you can to help others heal.